Project Correl is a collaborative experiment in multi-presence virtual reality (VR) illustrating the development of complex assemblies inside virtual space. A shared digital extension to our physical reality that proposes a dynamic new relationship between human creators and machine logic. 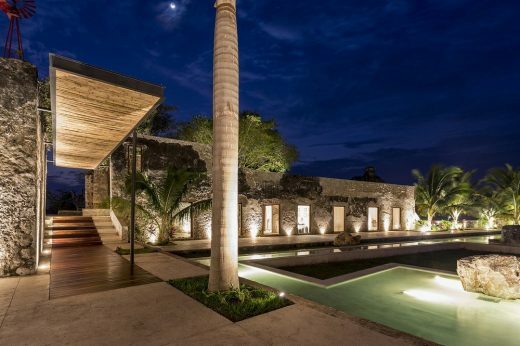 Powered by Unreal Engine, Project Correl demonstrates the possibilities of immersive technology in architecture. 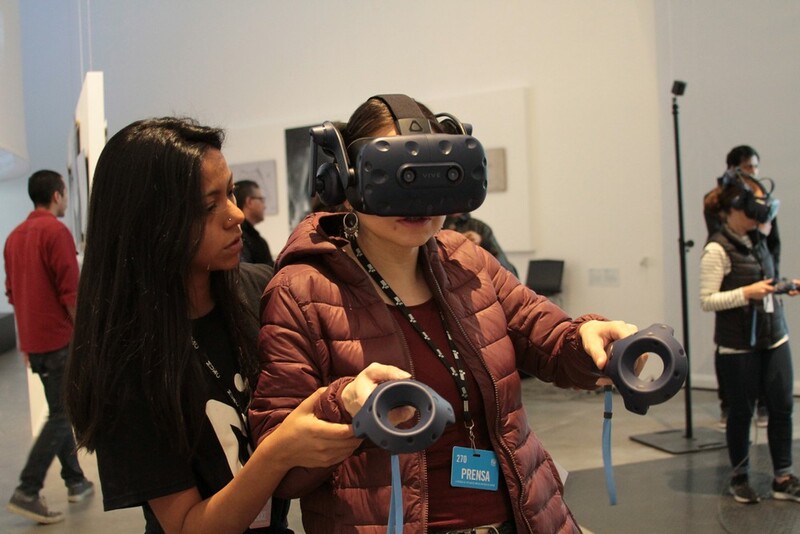 MUAC, Mexico City from 13 December 2018 – Project Correl is a collaborative experiment in multi-presence virtual reality (VR) illustrating the development of complex assemblies inside virtual space. A shared, digital extension to our physical reality that proposes a dynamic new relationship between human creators and machine logic. 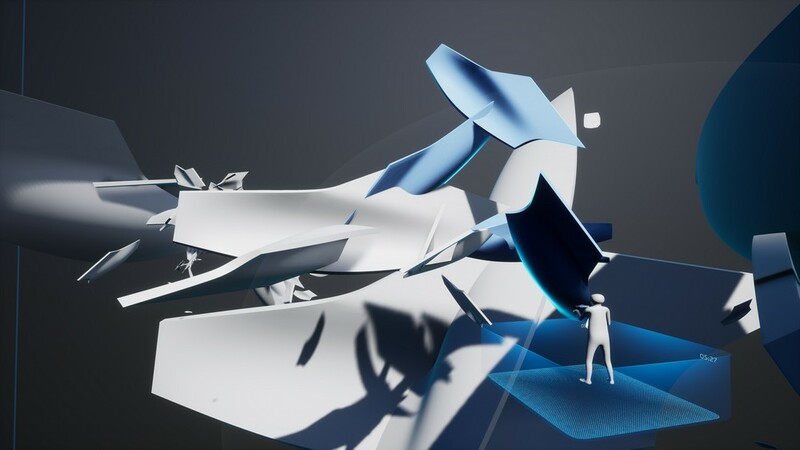 Powered by Unreal Engine, Project Correl demonstrates the possibilities of emerging immersive technology in architecture. 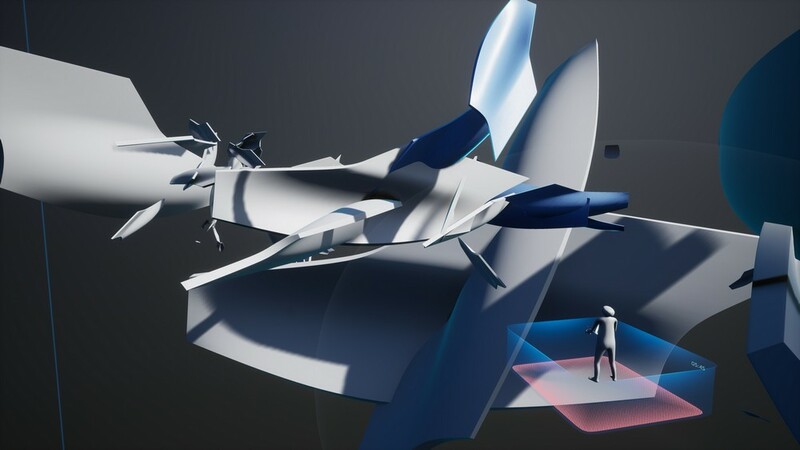 Founded in 2014, Zaha Hadid Virtual Reality Group (ZHVR) is working to shape immersive VR technology for architectural design, including real-time modelling and visualisation tools. 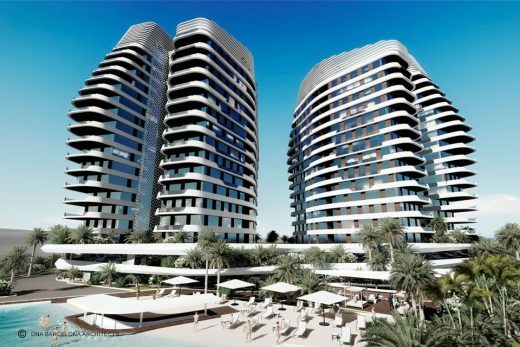 ZHVR is focussed on the production of VR as a design tool and researching the potential of specific technologies that can enhance the architectural design process. Partnering with leaders in the development of immersive software and hardware technologies: Unreal Studio, HP Virtual Reality Solutions, NVIDIA and HTC VIVE, ZHVR combined room scale tracking with high powered graphics capabilities to develop Project Correl for Zaha Hadid Architects ‘Design As Second Nature’ exhibition at the University Contemporary Art Museum (MUAC) in Mexico City. 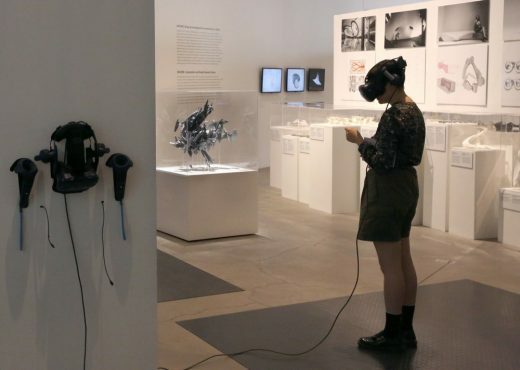 Project Correl invites visitors to the exhibition to collaborate in real-time, experiencing scale and digitally augmented design to collectively build a virtual structure that will grow over the coming months. Progressive iterations of this digital structure will be captured and exhibited in the gallery as scaled 3D-printed models. 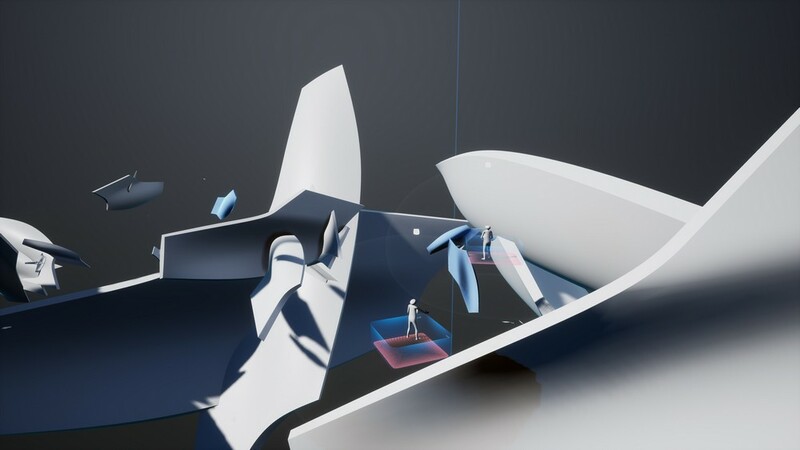 Visitors will be immersed in the virtual environment with up to three others at the same time, moving freely in digital space to select, scale and place components according to their preference and a dynamic set of rules assigned to act depending on the chosen scale of the component. 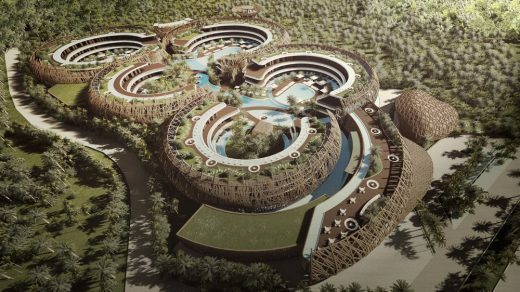 “This is possible thanks to Unreal Studio, the free real-time technology that helps architects visualize our most creative ideas,” explains Helmut Kinzler, head of ZHVR. While the virtual construction components and the guiding principles informing the placement algorithms have been designed by Zaha Hadid Architects, the scale of the components and their position of placement is entirely up to the visitor. Individually placed components will soon disappear from the VR space unless they are connected with others to form a cluster. 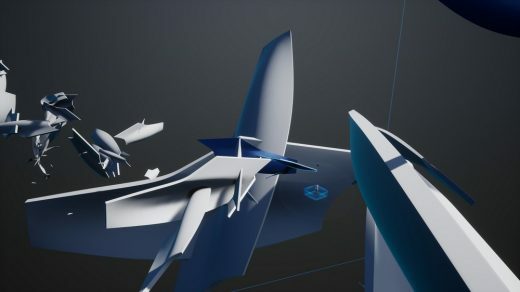 The more components connected together within any cluster, the longer it will exist in the VR space. Every cluster or component connected directly to the primary structure within the virtual space will remain as a permanent element of the design. 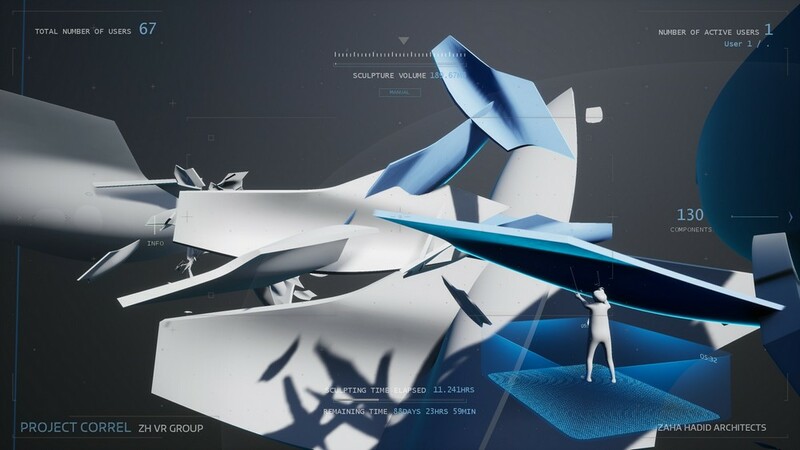 The emerging virtual structure created from the accumulated placement of components acts as a collective memory and is defined by principles that echo systems of growth evident in the natural world, an on-going sector of research by Zaha Hadid Architects. 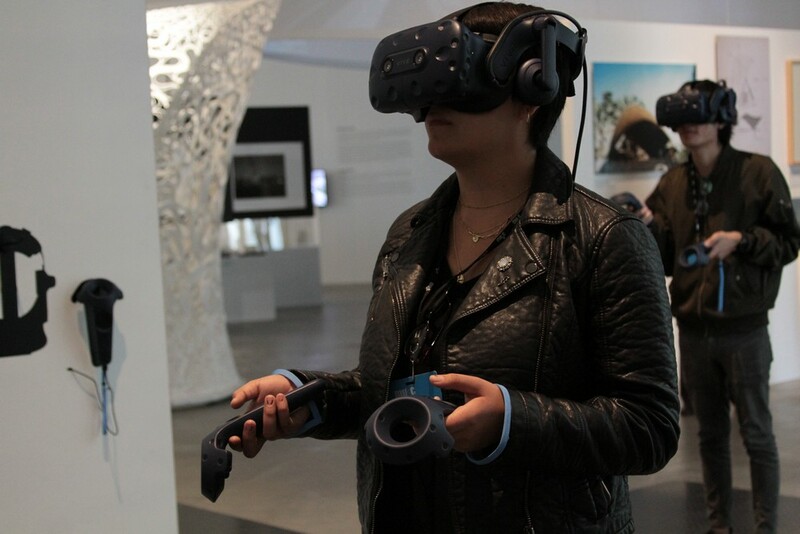 Project Correl presents visitors to Zaha Hadid Architects ‘Design As Second Nature’ exhibition at MUAC with a real-time VR experience demonstrating the remarkable possibilities immersive technologies will offer architects to collaborate and design in augmented reality. 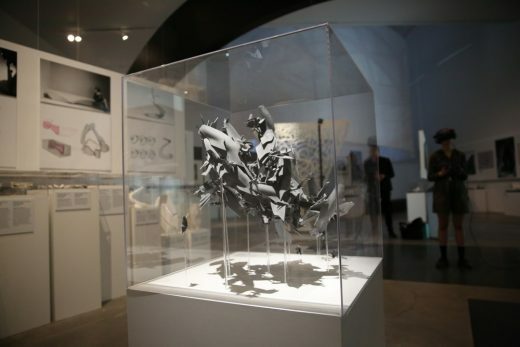 The ‘Design As Second Nature’ exhibition at MUAC, Mexico City explores Zaha Hadid Architects’ methodology and creative process, showcasing the studio’s 40 years of experimentation into new design and construction techniques as well their research of material innovations. The exhibition continues until 03 March 2019. The Unreal Engine enterprise team supports and nurtures vertical markets interested in using real-time technology within their processes. 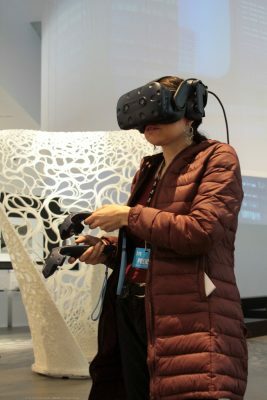 Industries such as automotive, architecture, film, science, aerospace, marketing, and education all use real-time technology to create immersive user experiences. Unreal Studio is a 100% royalty-free suite of tools and services that combine the power of Unreal Engine with features needed to accelerate results, facilitate adoption, and support professionals in the enterprise space. 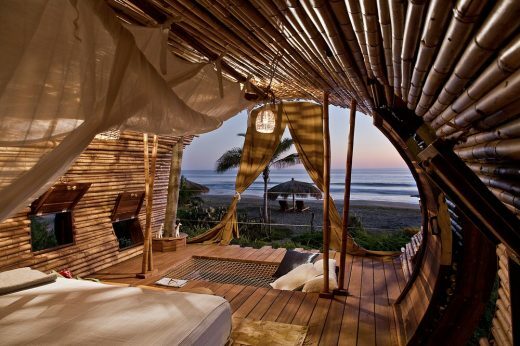 Unreal Studio simplifies the process of creating stunning real-time visuals for architecture, product design, and manufacturing, whilst reducing iteration time through efficient transfer of CAD, 3ds Max, SketchUp Pro, and Revit data into Unreal Engine. 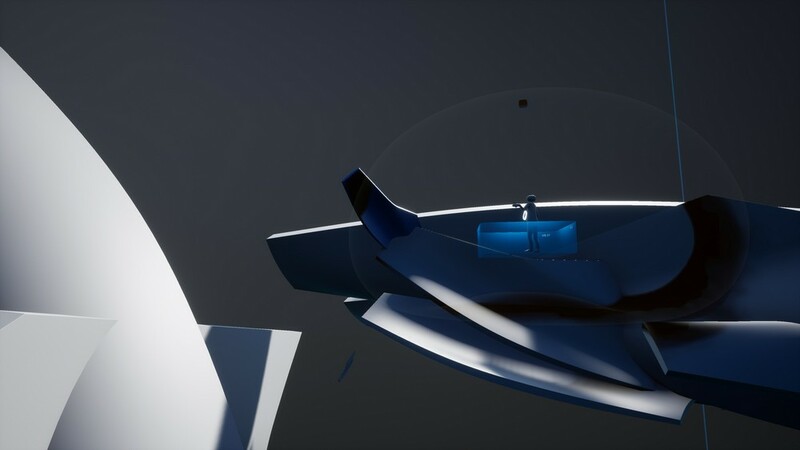 HP’s approach to virtual reality is founded upon its rich history of product innovation and deeply rooted customer relationships which enables it to deliver the most immersive technologies that help businesses lead their industries. HP’s versatile, high-powered devices like the HP Z VR Backpack and HP Windows Mixed Reality Headset – Professional Edition empower customers to create and consume VR content. The company’s commercial grade products are designed for mission critical business applications that require high levels of security, manageability, reliability and ISV certified applications. 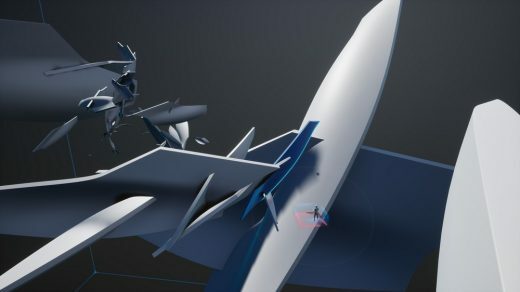 VIVE is a first-of-its-kind virtual reality platform, built and optimized for room-scale VR and true-to-life interactions. 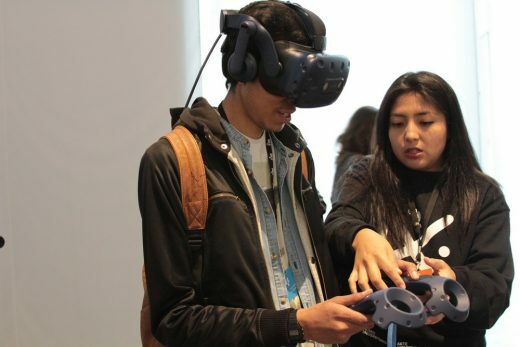 Delivering on the promise of VR with game-changing technology and best-in-class content, VIVE has created the strongest ecosystem for VR hardware and software, bringing VR to consumers, developers and enterprises alike. The VIVE ecosystem is built around the best VR hardware in market, supported by VIVE X, a $100 million accelerator for VR and related technology start-ups, Viveport, a global platform and app store with the world’s first VR subscription model that operates in more than 60 countries, and VIVE Studios, its VR content development and publishing initiative. VIVE Arts harnesses cutting-edge technology to transform the way culture is experienced, delivering one-of-a-kind projects that can be accessed anywhere in the world. 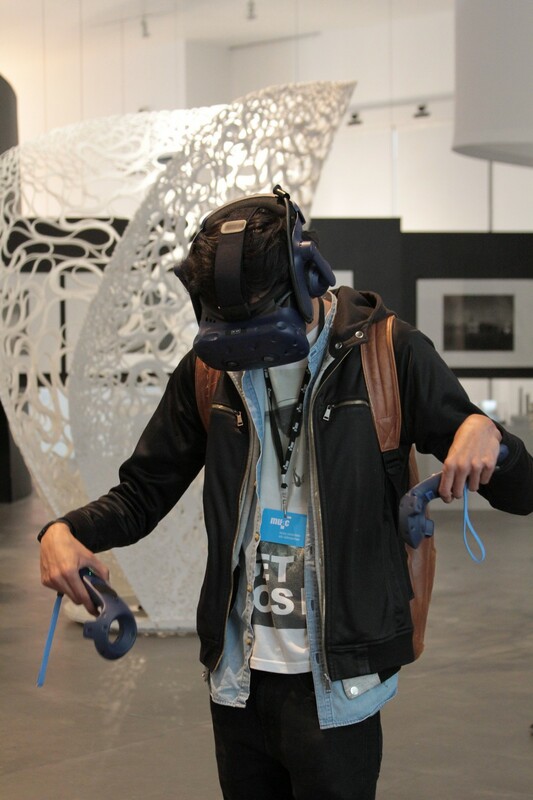 It fosters digital innovation, working with leading artists, museums and cultural organizations to create immersive artworks and exhibits using HTC Vive. Since its launch in 2017, VIVE Arts’ ground-breaking partnerships have included London’s Tate Modern and Royal Academy of Arts, Paris’s Muséum national d’Histoire naturelle (French National Museum of Natural History), St. Petersburg’s Hermitage Museum, Hong Kong’s Art Basel Hong Kong and Taipei’s National Palace Museum, among others. 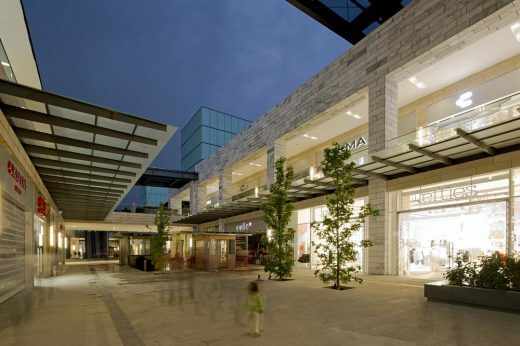 February 26, 2019 in Mexico.